Cooking for a family of 5 (which includes 3 growing boys) means spending a lot of time in the kitchen. It means coming up with fun family-friendly meals and desserts for all to enjoy. It also means trying to get the food on the table in a timely fashion because the kids are always hungry and it always “takes forever” to make. One way to eliminate all this is getting the kids to help out in the kitchen. My boys love helping out when we make meals. Sometimes it is simply separating the vegetables into the correct dish after they are cut or counting out ingredients. Desserts are their favorite thing to make though. Probably because it’s their favorite to eat. The downfall to that is often it takes a while start to finish when we are baking in the oven. We wait while the oven is pre-heating, they mix everything up, then they have to wait sometimes 30+ minutes for it to finish baking. Then again, they are waiting for it to cool down. We have found a way around that for the most part. Holstein Housewares offers small appliance treat makers that allow use to bake treats in under 10 minutes. They are great for party prep or just to get out and bake with the family. They have became a huge part of our family baking. 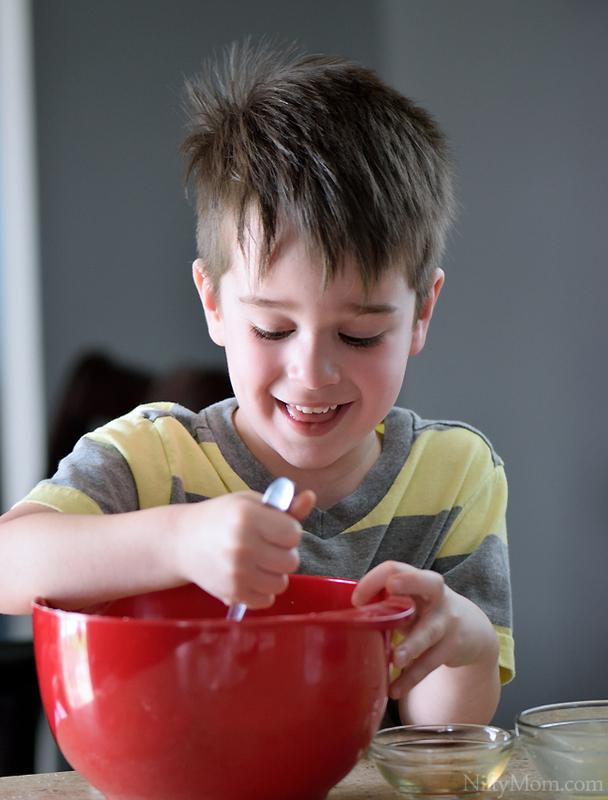 Here are five reasons I love cooking with my kids and why I think it is beneficial for all. 1. We exercise math skills. My boys are 3, 4, & 5 years old. I try to throw out simple counting or math problems throughout the day. There is no bad time to teach things. We count ingredients, learn measurements, add and subtract ingredients as we mix them together in the bowl. It has become a habit for the boys to tell me how many things there are all around us. 2. Coordination skills are practiced. Typically I measure out the ingredients into prep bowls while the kids help tell me how much and what it is. Then they get to pour the ingredients in, mix it up, help pour out the batter, etc. All things that require coordination and practice for little ones. 3. Endless questions are asked and curiosity is displayed. Kids love questions. They want to know about everything around them. When we cook, I often answer things like: “Why are we adding this first?” “Where does this come from?” “What happens in the oven?” It is non-stop learning new things and discussions. 4. Which brings us to the important aspect of family bonding time. Instead of me doing all the cooking and baking, while the kids are playing doing something else, it gives us quality bonding time. We aren’t just spending time together either. We are discussing, learning, laughing, having fun and creating food for our family. 5. 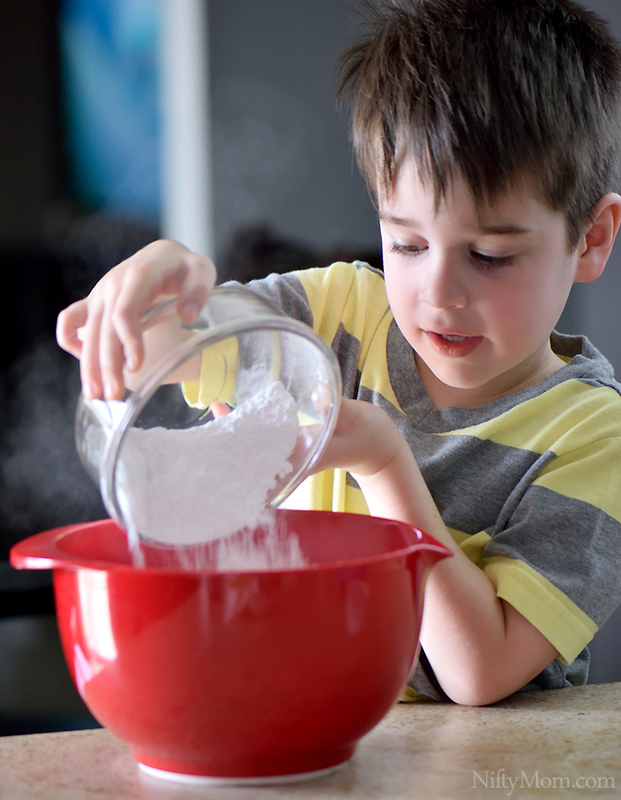 When kids cook and bake, it helps build self-esteem & confidence. When we bake during the day, the boys can’t wait for dad to get home so they can tell him all about it. They save him some and right when he walks in the door they are so excited talking about what they made, how it tasted, how fun it was, and how they want him to try it. They are extremely proud of their work. 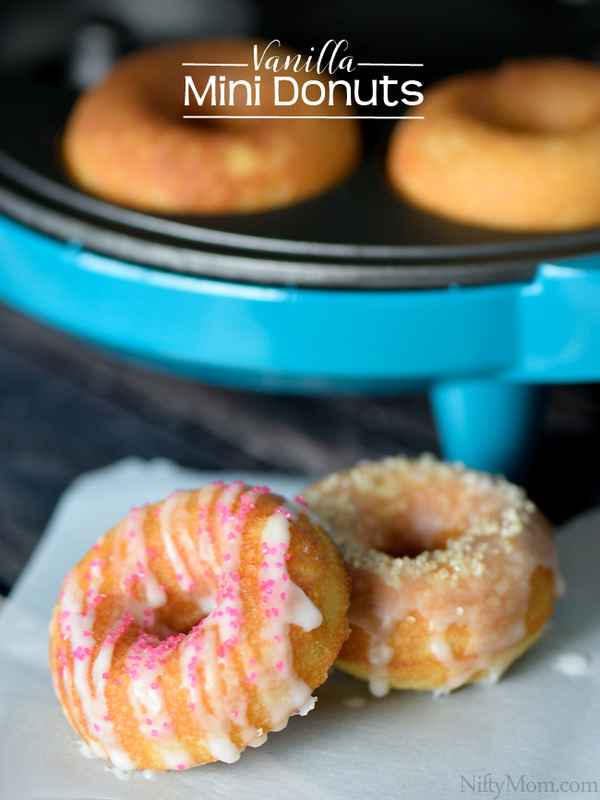 A few days ago, after lunch, we decided to make some mini donuts using Holstein Housewares Doughnut Maker. I am pretty sure it was one of their favorite things to make. It was easy, fun, and the product is deliciously adorable. I wanted something that was fitting for springtime, so they picked out some colorful sprinkles to go on top. The treat maker comes with some recipes and the first one we tried was the Vanilla Donuts, which were a huge hit. Tomorrow we are making the chocolate ones because they haven’t stopped talking about it. 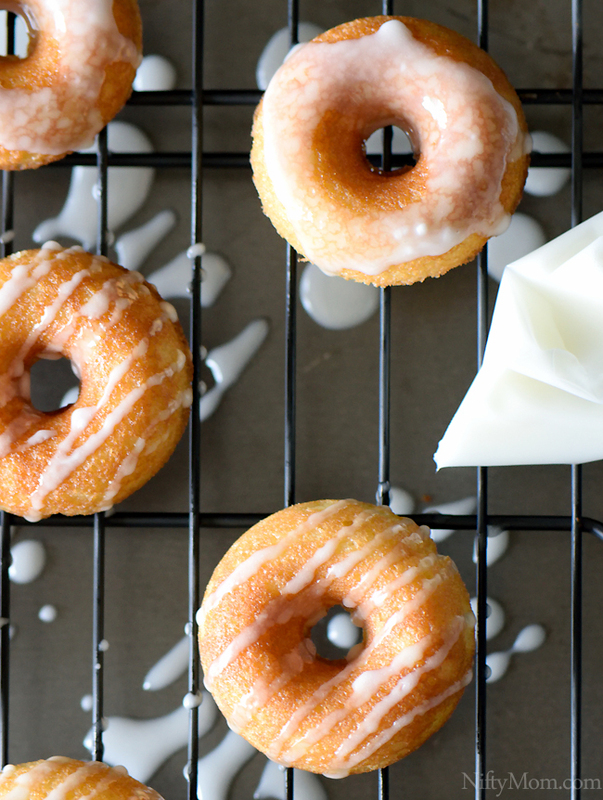 Vanilla donuts are easy to make with Holstein Housewares FUN Doughnut Maker. Mix together the 2 cups powdered sugar and flour. Slowly, add in butter, eggs, and vanilla. 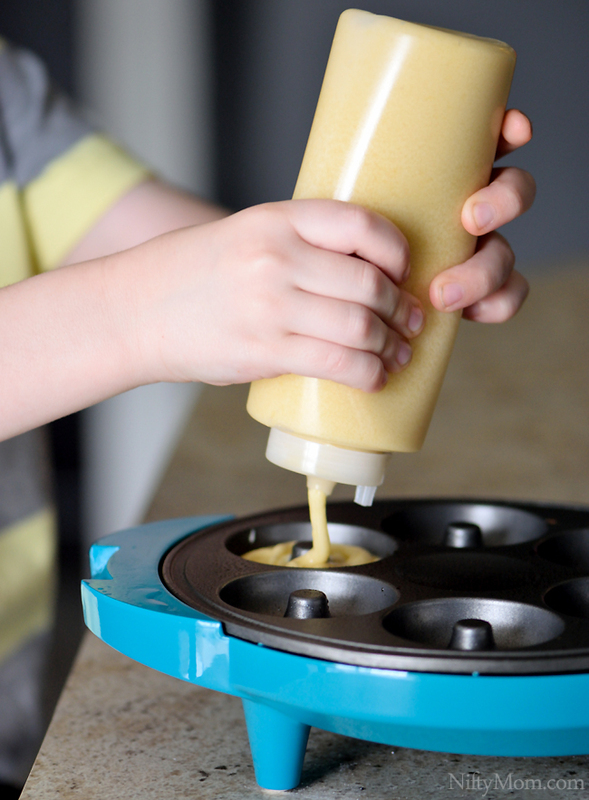 Coat Holstein Housewares FUN Doughnut Maker with cooking oil spray. Pour into mixture without overfilling. I find it easier to put batter in a squeeze bottle to fill the donut slots. Close the lid and bake for 5-7 minutes. To make the icing, mix together the 1¼ cup powdered sugar & 3 tablespoons milk. 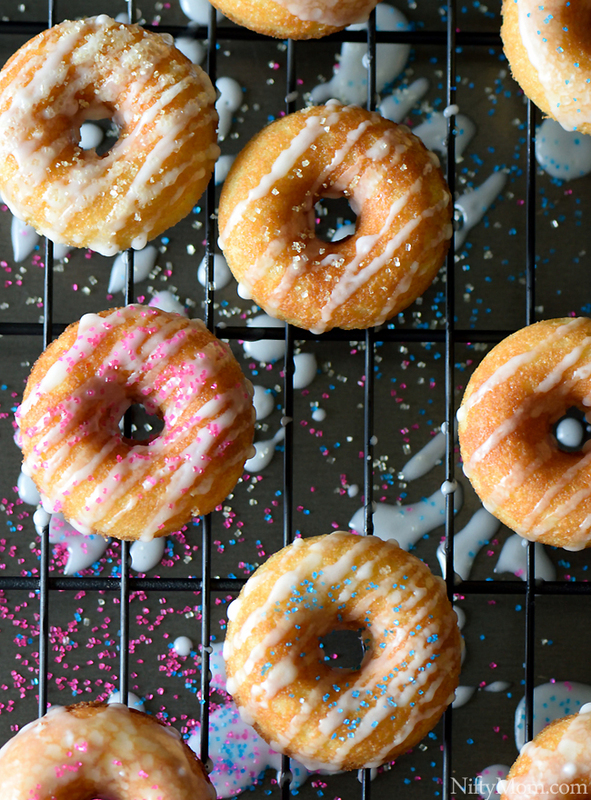 Pour icing over donuts and add sprinkles, if desired. Also try serving with ice cream for an extra treat! Holstein Housewares has many different treat makers and innovative products you can purchase right from their site. Want to win one? 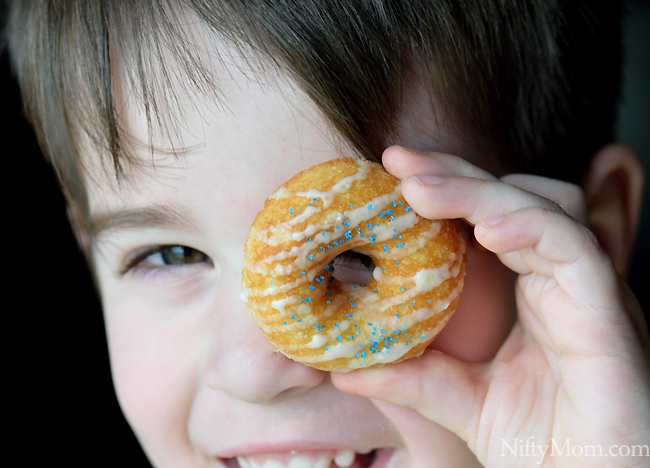 One lucky Nifty Mom reader will win a Holstein Housewares Doughnut Maker!! I like how easy it is to make doughnuts that the kids can help. I like that it makes mini-doughnuts and my 6 year old can help make them. I like how easy it is to use and that it makes donuts!!! 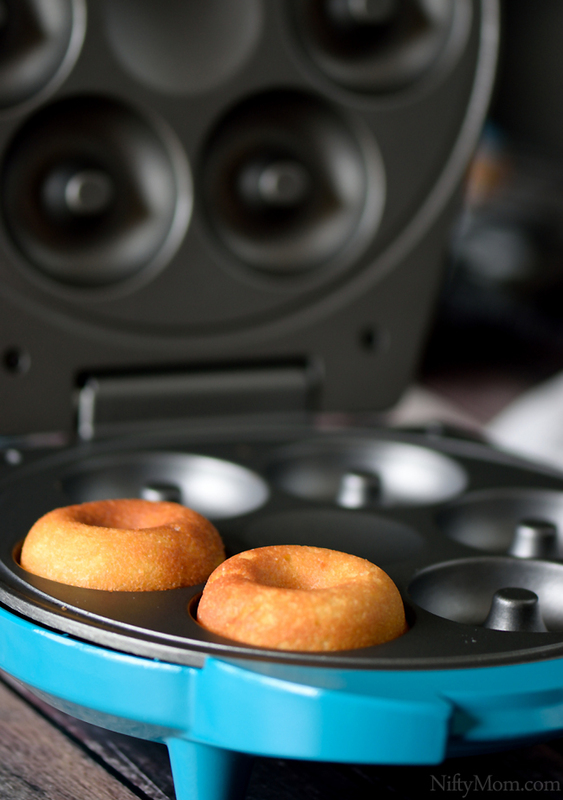 I just love the convenience of this donut maker! My kids would LOVE this! I love that the donuts are baked, not fried, and that it is something we can do together. I like that it makes just enough! i would like to have this maker because i could make a healthier doughnut/breakfast/snack for my family. I would be able to know what goes into each one that I make. I like how easy they would make it. I like how quick the donuts get ready. It makes it so easy to use and clean! I like the ease of use. This is certainly better than the alternative, which would be deep frying. thank you! I am excited that I won. I emailed you my information!! Did you mix up the sugar and flour in the recipe? This was a total failure in the donut maker. I am sorry to hear that it didn’t turn out for you. 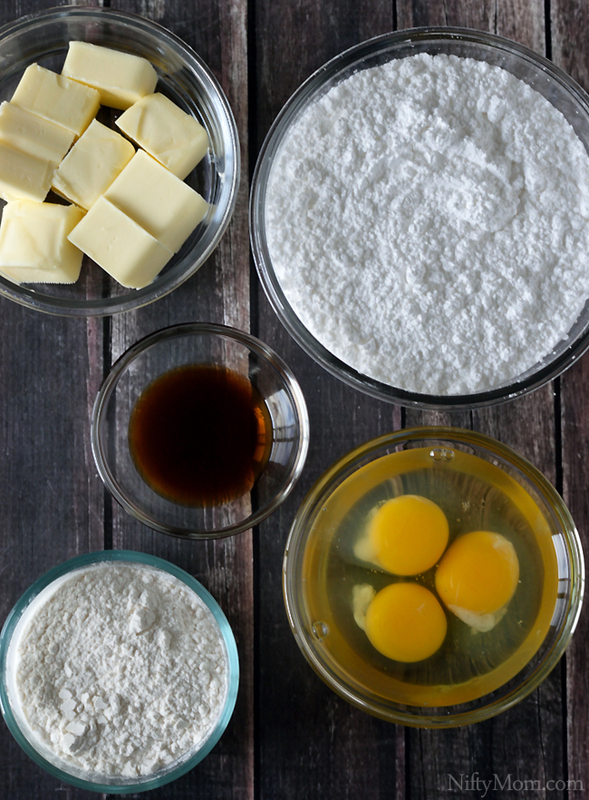 Yes, you mix the 2 cups powdered sugar and ⅔ cup all-purpose flour. Be sure to use powdered (confectioner’s) sugar. Granulated sugar wouldn’t turn out right. I made these with my 11 year old with the doughnut maker he got for Christmas. Wow! They are THE BEST! Took them to his middle school dance insread of cookies. One of the kids went out of his way to find me and tell me how much he loved them. We have tried other recipes and even boxed batter. This beats them all hands down, and its so simple with just some basic ingredients. Thank you for sharing!